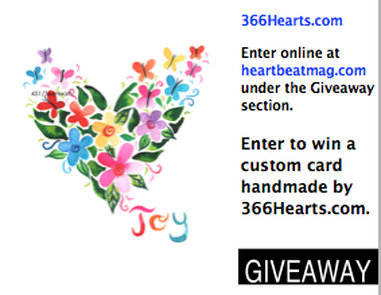 366Hearts will be giving away a ﻿Custom Designed Heart Card﻿. One lucky winner will be chosen to receive this beautiful one-of-a-kind card. Visit our blog or Giveaway page to enter online!